Connecting you, your community, your world, one family at a time. 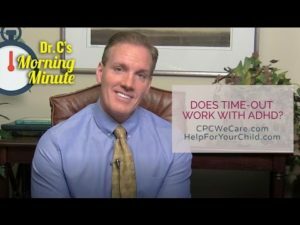 Check-out the latest Dr. C’s Morning Minute Videos where you’ll find information-packed video-posts covering topics such as: Autism and ADHD, OCD, Antidepressants, Deciphering Research Findings, Autism and Applied Behavioral Analysis, Autism and Discrete Trial Therapy, and more! Feel free to request a topic of your choice by emailing me at jcarosso@cpcwecare.com. Completing a Functional Behavioral Assessment – Dr. C’s Morning Minute 173 Observations, interviews and other data collection about a child’s behavior patterns all go into a comprehensive Functional Behavioral Assessment (FBA). Learn more on today’s Dr. C’s Morning Minute. Share your thoughts and questions below, or contact me at jcarosso@cpcwecare.com. What is a Functional Behavioral Assessment FBA Dr C’s Morning Minute 172 A Functional Behavioral Assessment (FBA) helps to break down, in a systematic way, issues that contribute to a child’s behaviors and what the child is getting or avoiding through each behavior. Learn more on today’s Dr. C’s Morning Minute. Share your thoughts and questions below, or contact me at jcarosso@cpcwecare.com. What is Oppositional Defiant Disorder (ODD)? 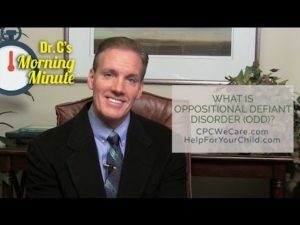 – Dr. C’s Morning Minute 171 ODD is a diagnosable disorder, but it’s very important to look for any underlying issues that are causing your child to be oppositional and defiant. Learn more on today’s Dr. C’s Morning Minute. Share your thoughts and questions below, or contact me at jcarosso@cpcwecare.com. Does Time-Out Work With ADHD? – Dr. C’s Morning Minute 170 Time-Out might not be the most effective discipline for children with ADHD, who are known to act impulsively and not think about consequences. Learn more on today’s Dr. C’s Morning Minute. Share your thoughts and questions below, or contact me at jcarosso@cpcwecare.com. Do Disorders Really Exist? – Dr. C’s Morning Minute 169 Some people believe that disorders like Autism are just human differences that should be accepted and accommodated. Learn more on today’s Dr. C’s Morning Minute. Share your thoughts and questions below, or contact me at jcarosso@cpcwecare.com. All About Dyslexia: Learn About Dyslexia and How To Get Help! What is “Structure” and What Does it Look Like? Is it Okay to Compare Your Kids?